This 204 page book was self-published by Dr. Ken Johnson in November of 2012. 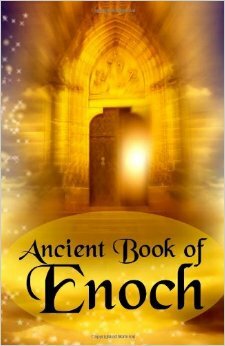 The popularity of Book of Enoch studies in recent years makes this a valuable resource tool. Aside from a good reproduction of the R.H. Charles translated text, Dr. Johnson also adds some helpful commentary and explanatory notes. His printing is also reproduced with concise chapter breaks and topic headings, which make for easier reading and comprehension. Most readers pick up a copy of The Book of Enoch hoping to learn about the fallen angels and the nephilim. But, as Dr. Johnson point out, Enoch is rich with prophecy regarding the promise of the Messiah and the unfolding history of the world from the days of Adam to the culmination of the age. Overall, Enoch is one of the most fascinating ancient texts available to those of us living in modern times and I highly recommend Dr. Johnson’s version not only for content, but also for layout and presentation. It has become a reference source that I use frequently.